I was watching TV this morning and the presenters where sitting with a beautiful rug under the chairs. It reminded me of the time I spent in Georgia taking images for #ReWoven. These beautiful hand woven rugs are products of many months of skilled work by highly talented artisans. I spent time in a camp high in the Caucus mountains where the Azeri Shepherd’s see out the hot summer months with their flocks. 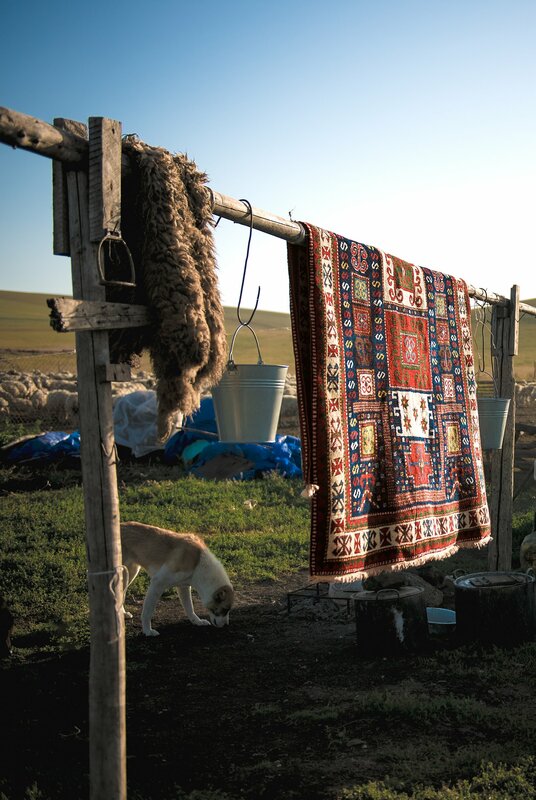 It was magical to be able to see this process and to photograph completed rugs in the camp where the wool for this very rug was first produced. Next Post The Nikon D850.